Cutty Sark : Did Albert Strange Design This Boat ? This curiosity was dug up by HBA webmaster Martin Hansen during a search through digitised old Australian newspapers; a 1929 advertisement for an Albert Strange designed boat, not in the records of the Albert Strange Association. Cutty Sark was, unfortunately, a popular name for a boat at this time which makes searching for more information difficult. 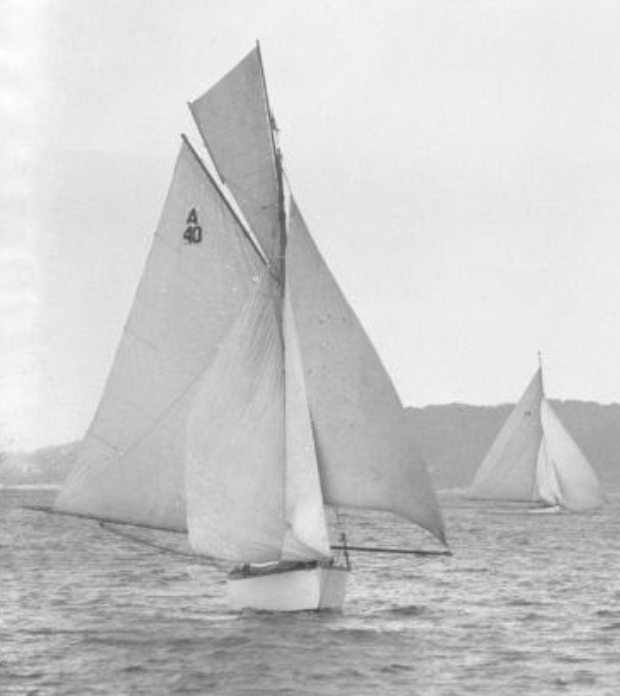 The photograph below is of a sloop called Cutty Sark, thought to be taken in 1925 by William James Hall, probably at the annual Pittwater Regatta. The sail number A40 may help establish if it's the same boat. In summary, more information is needed before the jots can be joined and the boat considered authenticated Albert Strange, (or not). Incidentally, the advertisement is from The Sydney Morning Herald dated Saturday 17th August 1929. Is this the Cutty Sark in the advertsisement ?